You might think you know yourself intimately. You might even say that you know yourself like the back of your hand; however, there are some pretty strange things your body does that might surprise even you. The human body is an efficient machine hones by millions of years of evolution but it does have its little oddities and quirks that might surprise you. Check out 7 unusual facts about the human body below and prepare to be amazed. 1. Babies are born with 300 bones and adults have just 206 – It does seem a little freaky and why should babies have more bones when adults are bigger? The reason for this is that as babies grow, some of the bones fuse together to form just one bone. 2. The small intestine is the largest digestive organ – It seems a bit strange that something called “small” will take the title as the largest digestive organ. However, at 18-20ft long it is a well-deserved title. 3. Stomach acids are so strong they can dissolve razor blades – Forget what they say about swallowing a seed and having a tree grow inside you. 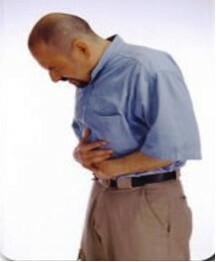 The PH level in the stomach ranges from 1-3 which is so strong a mere seed cannot hope to survive. 4. You get a new stomach lining every 3-4 days – Your stomach acids are so strong they can dissolve steel. If you didn’t develop a new stomach lining every 3 to 4 days your stomach would end up eating itself. 5. Everyone has unique tongue prints – Just like your finger prints you have a unique tongue print from everyone else on earth. However, you will not be asked for a tongue-print by the cops just yet as finger-printing is still the norm. 6. You shed hundreds of thousands of skin particles per hour – You might get annoyed if your pet sheds some fur on your couch but that’s nothing compared to the amount of dead skin cells you shed. The rate is about 600,000 skin cell particles per hour but they are so tiny you do not even see them. 7. Your nose has a long memory – Your sense of smell might not rival that of your furry four-legged friend’s but your nose is powerful enough to remember an astounding 50,000 different scents. Just when you think you know your body inside and out, these unusual facts give you some pleasant (and not so pleasant) surprises. The bottom line is your body is amazing and will constantly surprise you. awesome stuff you can learn every day by accident! !